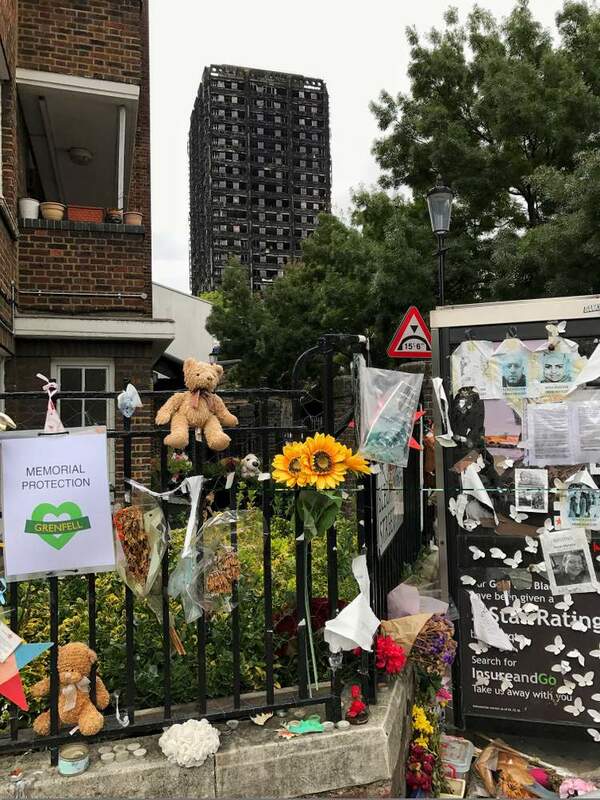 “Grenfell Tower wasn't special as a tower, it was made special by those who inhabited it. 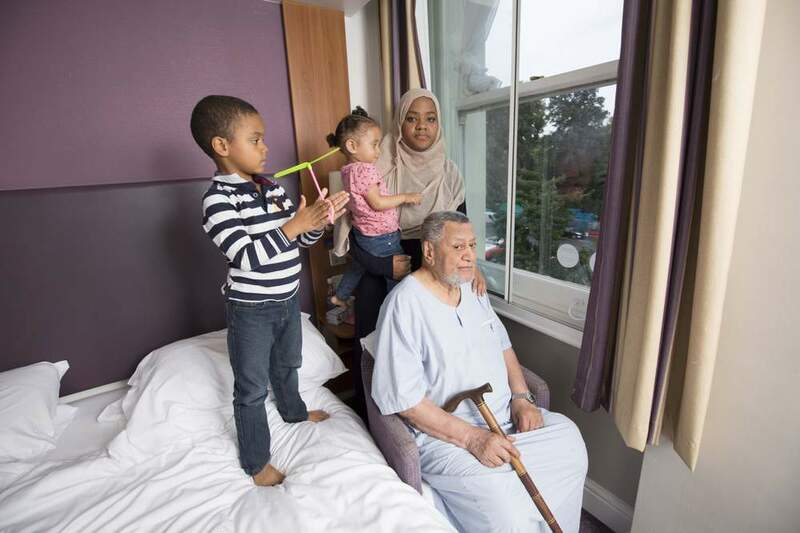 ‘Home is where the heart is’ as it is said and it was a home for all of our hearts and I have endless good memories there"
Mohammed Rasoul,35, managed to escape from the fifth floor of Grenfell Tower along with his father, 86-year-old Ahmed Abdel-Rasoul, wife 33-year-old Munira Mahmud and their two children, 5-year-old Mohammed Rasoul Junior and 20-month-old Zahra Rasoul. 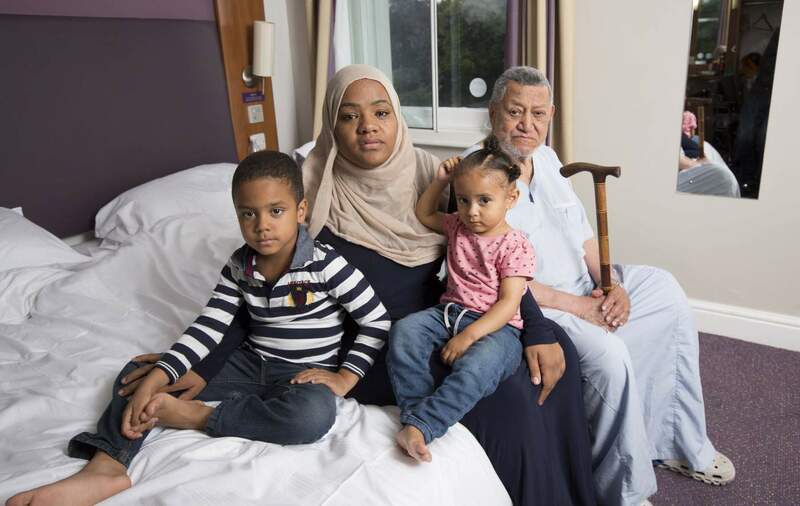 Mohammed has lived in Grenfell Tower all of his life and here he, along with his wife, shares their experience. 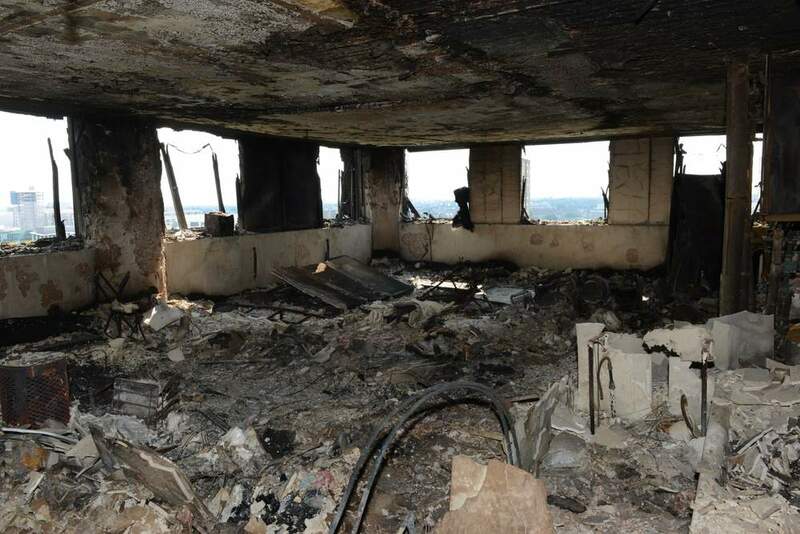 “The flat to our left, the floor below is where the fire started. I was awake at 1.30am in the living room. I wasn’t sleeping, it was Ramadan and I was awake. My wife happened to stop my father who is 86 and he suffers from dementia. “He was trying to get out of the flat and we’ve lost him for a day before, so she got up and just told him, ‘dad, go back to sleep'. As she happened to do that, thank God, she overheard some people speaking outside in the landing and she came to me in the living room and said ‘something’s going on outside’. “I went to the front door, opened it and I could see fire hoses on the landing floor and our next door neighbour, flat number 26, their front door was closed but smoke was clearly coming out of it, 20 seconds later, two firemen came up and just told everyone to get out. “He walked down but it took him like 10 to 15 minutes to walk down to the ground floor and he was exhausted. 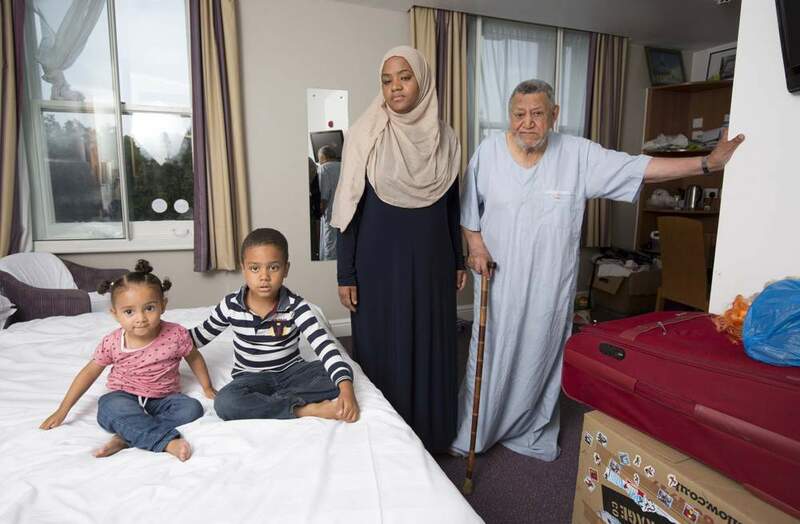 The night of June 14, Mohammed and his family stayed in a Premier Inn in Hammersmith, the following night, they moved to a hotel in Kensington where they have been ever since. Munira has explained that 'there’s nothing in this world that’s made easy, you have to fight for everything'. 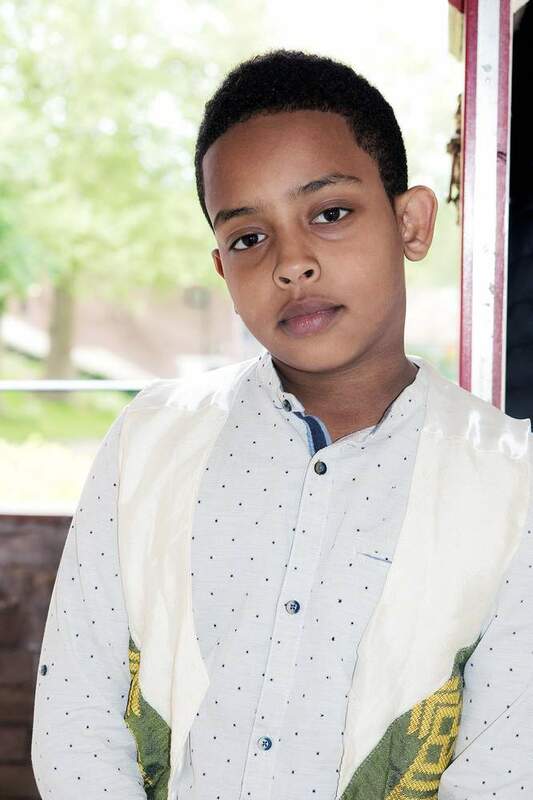 Mohammed said: “I had been in Grenfell tower since birth and I had seen many fires in the block, none of them ever spread in such a manner. The cladding was the major factor in the spread of the fire and I do not need any investigation or inquiry to prove that to me. Such loss of life was preventable and should never have happened. 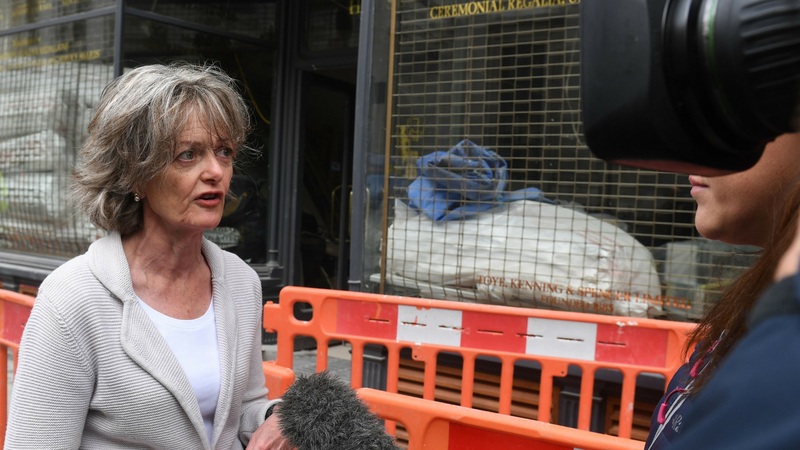 “It’s still the beginning of the journey with regards to the inquiry, the inquests, we’re a bit reserved just because the judge, Sir Martin Moore-Bick, the scope of his inquiry was very limited, but he seems to have moved on since then. "At first he said it would just cover how the fire started, how it spread and how to prevent this in future, but obviously there was uproar after that from the residents and the bereaved families and then we’ve raised our concerns and he seems to have opened up a bit. 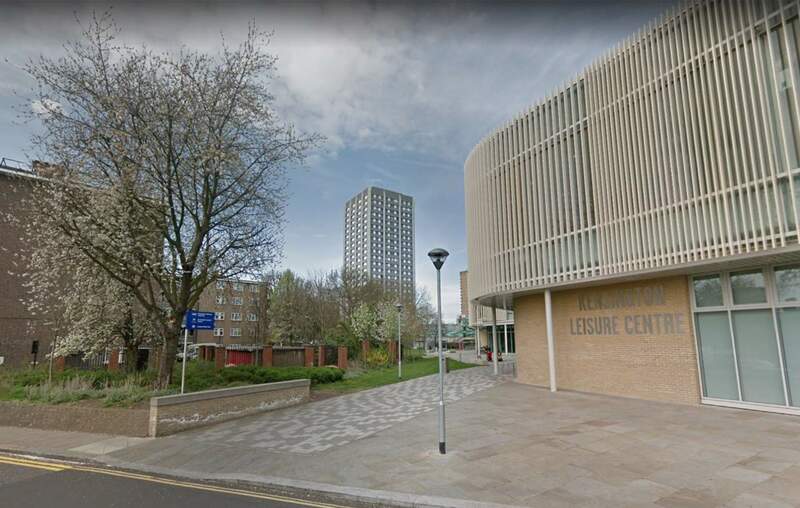 "But in terms of reference which we put forward, residents and bereaved and so on, I think they’ve included quite a few things but Theresa May didn’t include one of the major things which was the culture of the council and social housing at large if I’m not mistaken. "There’s how it’s been handled and things like that which are important, they all tie in. Which shows that these problems, they’re quite deep root problems that go back decades, if we’ve got hundreds and hundreds of tower blocks that aren’t safe, it shows that we’ve had some major flaws in the system itself. "So we’re just a bit reserved, everyone wants justice for the people that passed away, the people that lost their homes and so on. “We’re still in a hotel. We’ve been offered a place and we’ve accepted, we’re just waiting for the paperwork to come through, but that’s going to take another few weeks for all of that to be arranged." Answering in response to if their housing acceptance process was easy, Munira Mahmud said: “50-50. There’s nothing in this world that’s made easy, you have to fight for everything, but we are still waiting. We did accept the place, but it was offered to someone else after I liked the place, before my husband viewed it and then when they turned it down, that’s when they gave it back to us again." “People are angry, sad of everything that’s happened. Things went wrong before the fire, on the night of the fire and afterwards, just how the residents have been handled and treated by mainly the council. "Generally the system has been a big shambles." Answering if they raised concerns over the safety of the building, Mohammed said: “We all did, the fact that the same people are still running the council, the same decision makers that turned down and turned a blind eye to all the health and safety issues that were highlighted by the Grenfell Action Group and other residents. We protested against it, the refurbishment or issues with it at least. “The same decision makers who turned away from all of that are still making decisions on our behalf. They’re the same people that authorised, without consulting the residents, that people’s things can be recovered. “They emptied out the first three floors without even telling any of the residents. “I thank God we got out early and we made it. From our perspective, as Muslims, in our conviction, we believe that everyone has their time and if it wasn’t our time, it wasn’t our time. But on a worldly level, no-one that died that night should have died, all of that could have been avoided. “If the councillors that were, again, making the decisions for us, would have not just thought about cost and money and saving money and thought about people’s safety instead, then people wouldn’t be dead now, they wouldn’t have to have died. “It was my wife’s best friend and my children’s friends who passed away, there was a lady who was my friend’s mother. Me and him had been there since birth, we had both been in the tower since birth." 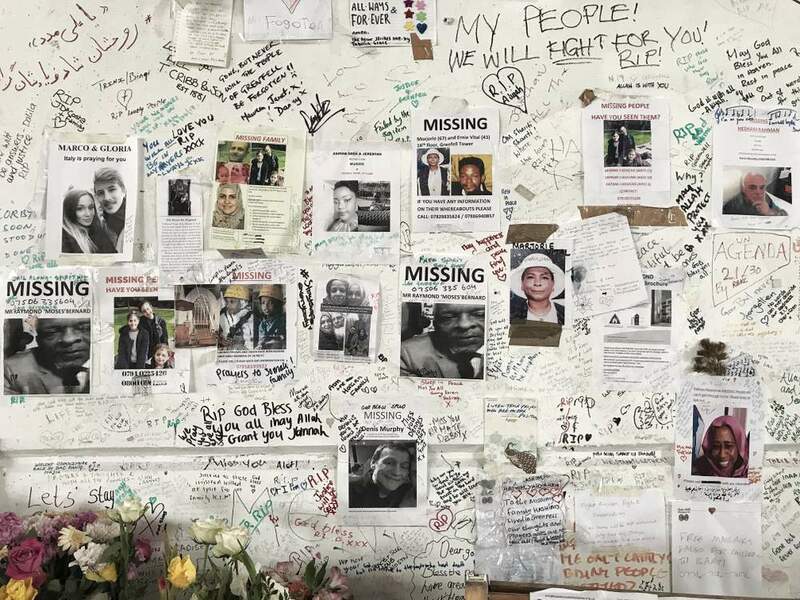 “Grenfell Tower wasn't special as a tower, it was made special by those who inhabited it. ‘Home is where the heart is’ as it is said and it was a home for all of our hearts and I have endless good memories there. I grew up there and I got married and had my children there. All our closest friends were there too." “Most people knew each other, I’m not saying we were the most tightly knit community, but everyone got on well, you have your good mornings, your conversations. "When we had to kind of protest against some certain action the council was making, you saw people united. 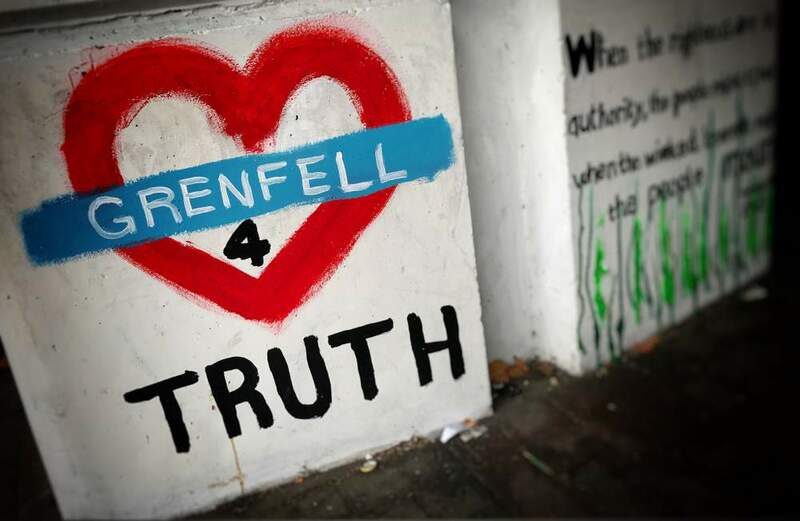 When Ed Daffarn started the Grenfell Action Group, a lot of the residents turned up against the refurbishment works and the issues we had with them during the builders coming in and doing all the change. “We all lived together in harmony in a peaceful way. It wasn’t rough. Everyone says, you know, ‘oh, it’s the most deprived area in London', but we might, might have been deprived materially, but not morally, not emotionally. "The negative emotions are manifesting themselves and coming up to the surface now." A Kensington and Chelsea Borough Council Spokesman said: “We are doing all we can to get people into permanent homes. We have worked closely with bereaved families first and foremost to find them a permanent home. We will only work at the pace that each family feels comfortable with. Bereaved families make up some of the 48 households who have accepted an offer and who we are now helping to move into their new homes. 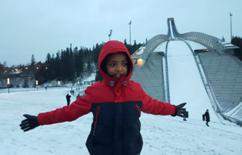 Mouna El Ogbani managed to escape from the 11th floor of the tower with her children. 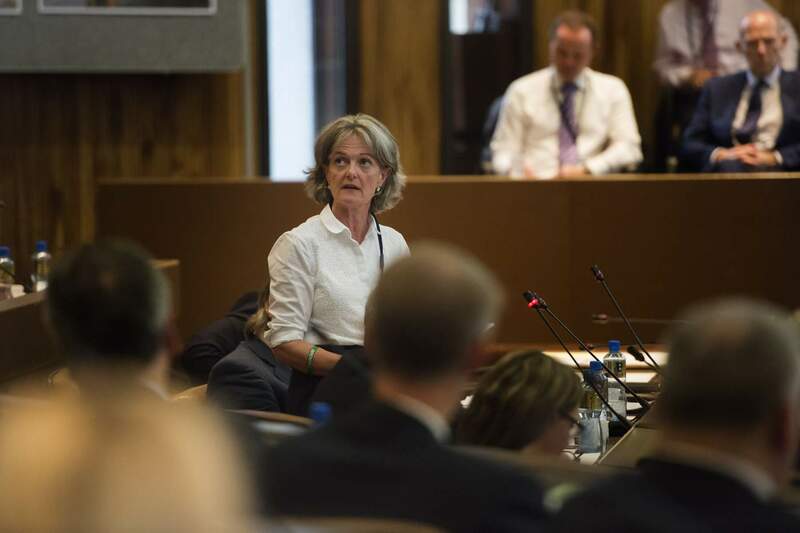 Following the opening of the inquiry on Thursday September 14, she spoke of her frustration and reveals how her children are still suffering. “He (Sir Martin Moore-Bick) needs to appoint multi-diverse people for the one he’s going to appoint for the assessor so our voices are heard. As we are a multicultural, multi-national community, he needs to present, he needs to broaden his scope. “We want to look at not just why and how this fire started but also to look at before the fire, what led to the fire, the suffering that we had when they had the changes in the building, how they viewed the social housing, how we are viewed after the fire." “It’s been disgraceful, they’re not taking our views into consideration, they’re not listening, they’re very slow, they just say ‘oh they’ve appointed new key workers or new people to support us’. "We’re three months down the line, we still live in hotels, we’re still living out of boxes, our kids are back to school, there is no routine." "So she still thinks about it, you know, whenever we pass the tower, she’ll look at it, ‘that’s my tower’." "I wish we could have done more but you can just do your best." Police inspector Nick Thatcher recounts his memories from the morning of the fire. 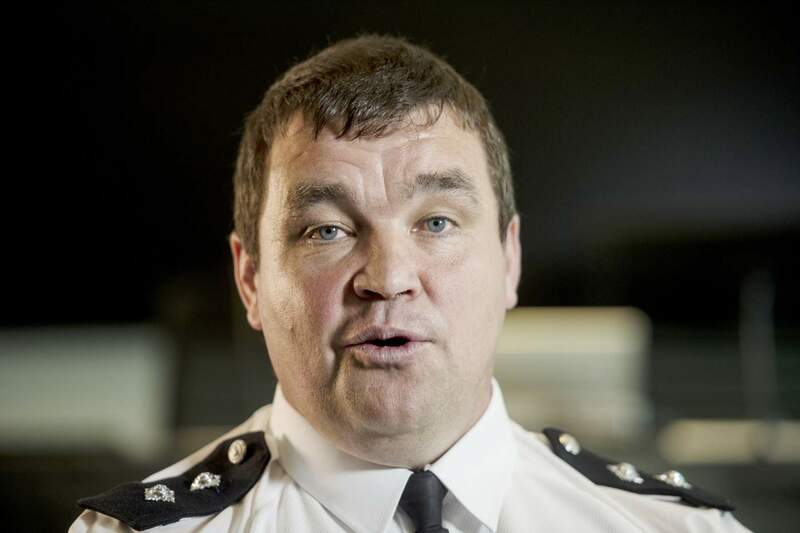 Police inspector Nick Thatcher was one of the first inspectors at the scene of the fire. He shares his memories from the base of the inferno. 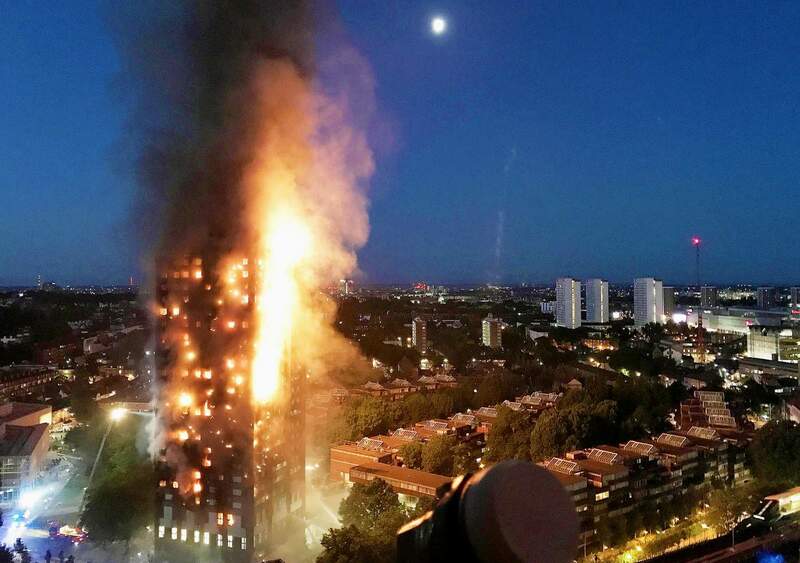 “I could see a fire ranging in the lower floors of Grenfell Tower. I could see that it had tracked up the building and started to come across the top and it had set light to the top two floors as well. So it was fire right from the bottom to the top. “At the base of the tower there were several members of the public just standing awestruck, staring up, looking at the inferno and slowly edging forward and it was a case of making sure that they didn’t walk towards the base because there was so much debris coming off as well it was almost like the building was melting." 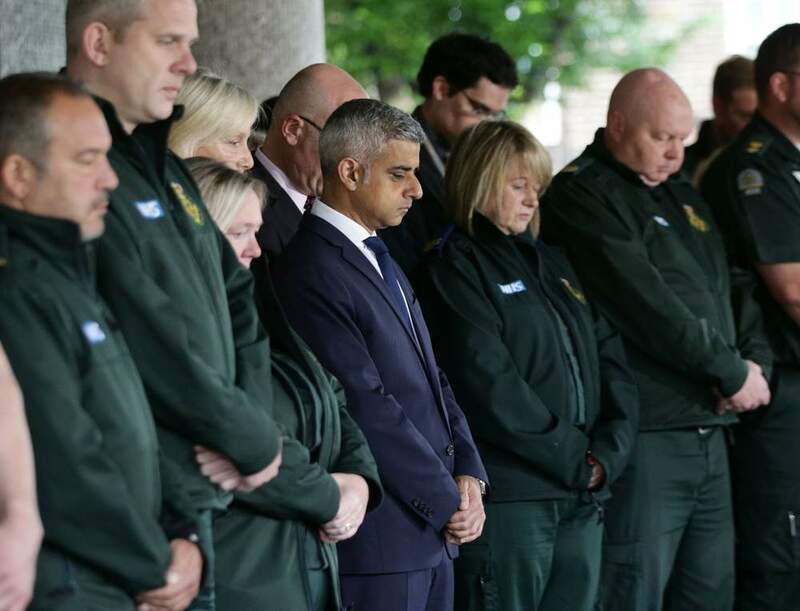 "There was the whole range of human emotion, people in absolute anguish, being torn apart, watching their loved ones who were in the tower. "People who just wanted to help, but didn't know what they needed to do. 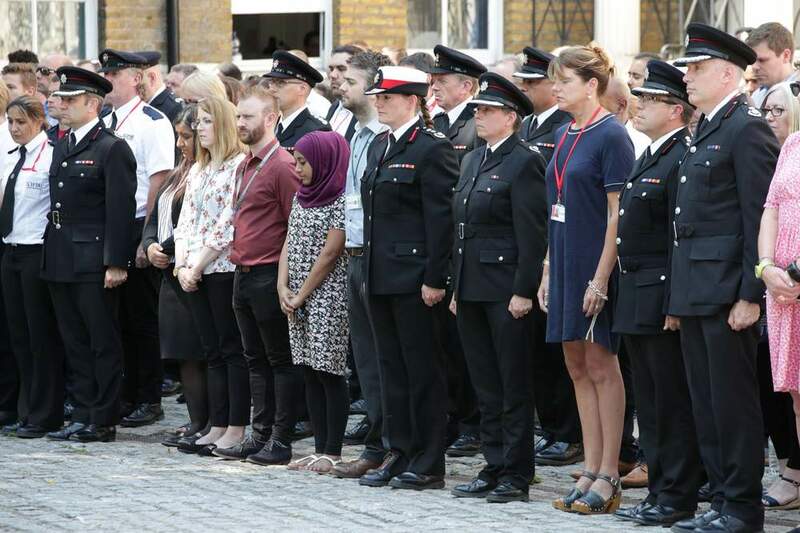 “They started to help each other, to console each other, to look after each other and that was a real turning point, when instead of looking at the fire and looking at the problem, they started looking at what they could do for help, and that was inspiring." "It's the finest example of teamwork that I have ever seen and that's right across all the emergency services." "I come from a sporting background with my rugby and there have been moments certainly in my sporting career where you think 'wow, that’s all come together'. But it doesn’t come anywhere near the way everyone worked together and just did the best they could. They pushed the envelope of expectation, smashed it in some instances just to do the best they could. “I am incredibly proud of the firefighters and officers who went into the tower time after time. I saw first-hand incredible acts of bravery as well as skill and determination. “The public response has been overwhelming, many fire stations received hundreds of letters and cards from members of the public and this really means so much to us. "We have all been deeply affected and I have encouraged everyone who attended to take advantage of the counselling services available to them. I certainly have. “I can hardly believe that that we are already at the 100 day mark and while I want to pay tribute to firefighters and officers I don’t want the voices of the victims to be lost." "Because of the ongoing police investigation and inquiry, I can’t talk about resources and our operation on the night. "However, I will not be silent about the actions we all need to take to save lives in the future. "Landlords need to step up. It is the building owners' responsibility for making sure their properties remain safe and this includes everything from ensuring fire doors are properly fitted to keeping escape routes free from clutter such as bikes and pushchairs. "They must also keep residents informed of what they need to do in the event of a fire. “Having an up to date and detailed fire risk assessment is the single most helpful thing residential building owners can do to improve the safety of their residents and it is a legal requirement. "Councils are London’s biggest landlord and the brigade has been advising local authority housing providers to review and update their fire risk assessments. “Because of the ongoing police investigation and inquiry, I can’t talk about resources and our operation on the night. However, as shared from day one a significant level of resource was sent to the incident as quickly as possible and equipment needed on the night and following day was available. 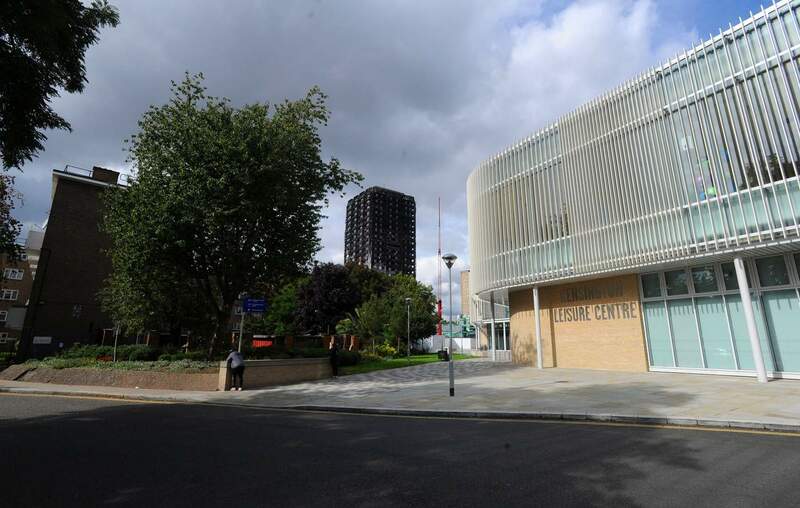 "We always review resources following any incident, especially a fire as significant as Grenfell Tower and we must take every opportunity to improve our technology." "The tower is a very difficult visual sight. 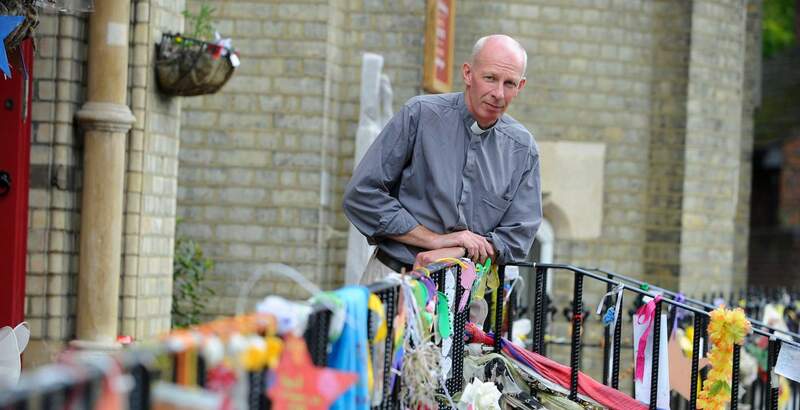 It’s gruesome and horrific for people, it causes considerable distress still and I think its presence is deeply unsettling for many"
Mike Long is the reverend at Notting Hill Methodist Church, which acted as a facility for receiving and sorting donations in the hours and days following the fatal fire. He hopes that efforts to bring the tower down will be sped up so the community can move on. 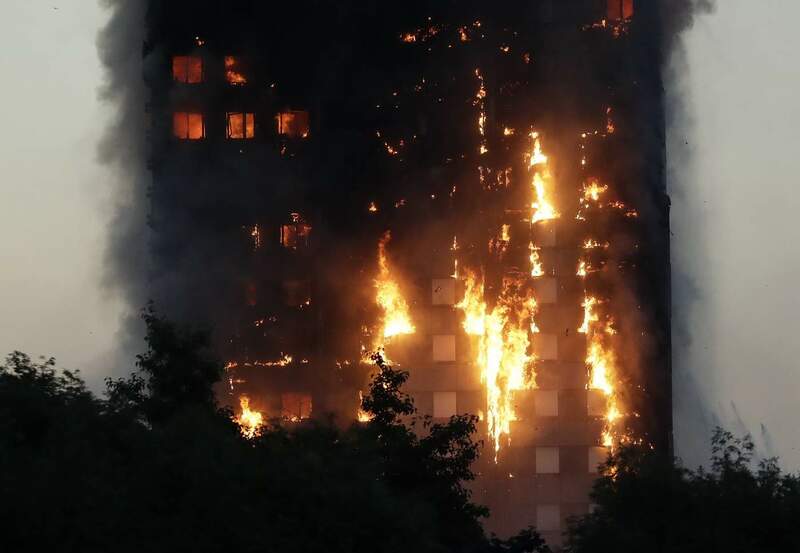 “I first was made aware of what was going on at 4.30am when one of my church members called me, told me the tower was on fire and I live relatively close to here. 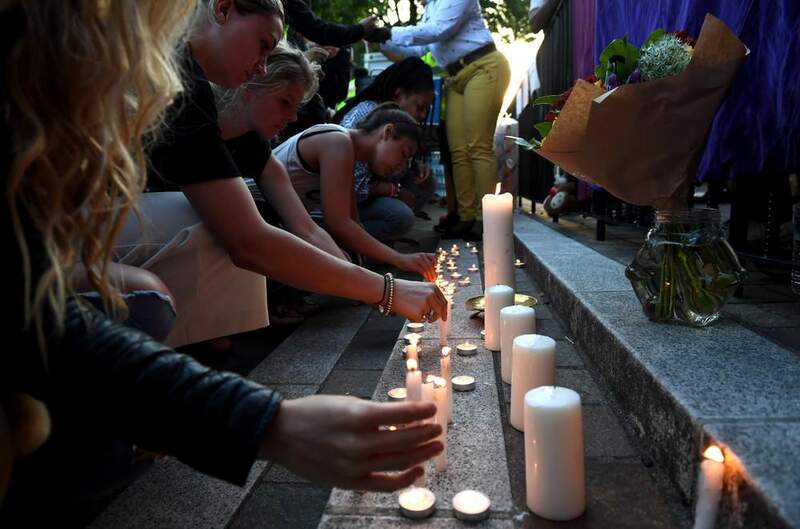 "I came down straight away, couldn’t get close to the church because it was within the safety cordon and a church member called me about the same moment on my phone and was very distressed looking for a friend of hers who was in the tower, who had not been able to get out, though fortunately, we discovered a day or two later that she was okay, relatively speaking. 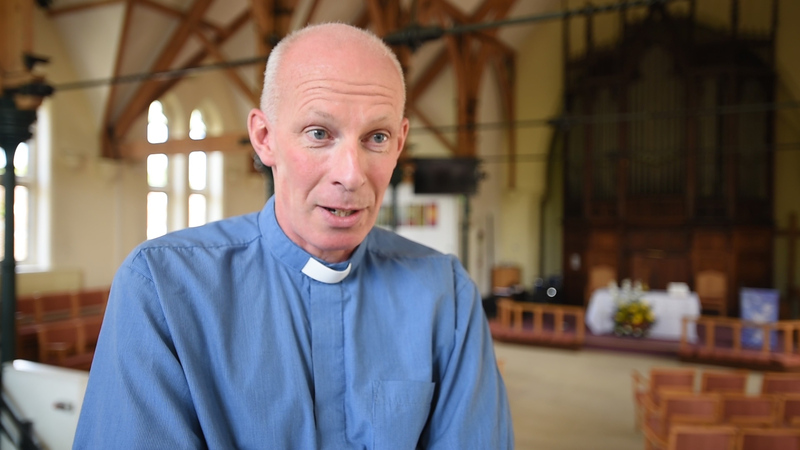 "So I went round and met this church member and spent much of the first part of the morning, 5am, 6am, 7am, walking round the scene and also one of the reception centres where I met quite a number of the people who had been taken out from the tower. 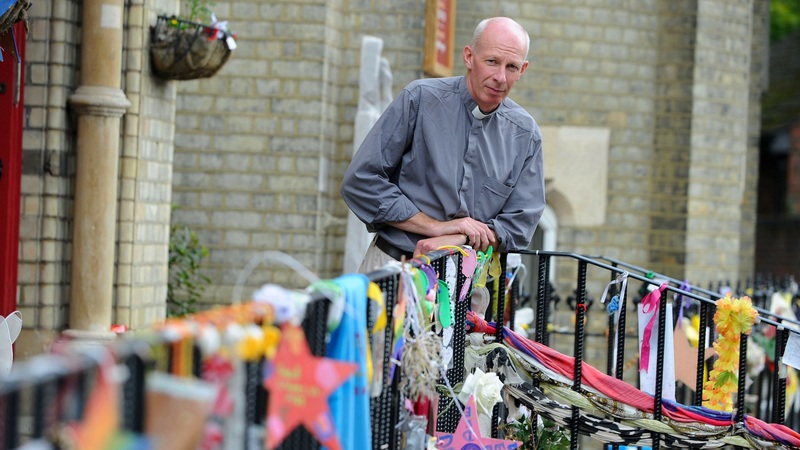 "At about 9am, I was able to get into the church here, the police allowed me through the cordon and said we could open for business and when we did. Immediately it seemed, enormous numbers of people started arriving from the local community bringing water and blankets, initially I think for the firefighters and the police." "I remember by lunchtime the operation was so large in the building, we had, I don’t know, 60, 100 people in the building, we had to label everybody up, because most people did not know anybody else. We needed ways of communicating and organising ourselves because even by that stage it had become a very significant sized operation." “I think it’s hard to describe how impressed I am really, a number of things, the sheer number of people volunteering, the amount of time and commitment that certainly many have offered." "The way in which people put their own egos and interests aside and worked together, people who would perhaps not normally come across each other, people from very different backgrounds, faiths, much else. So there is a tremendous sense of goodwill and harmony, not that everybody thinks the same and there are differences of view. “It was chaotic, it was extremely chaotic, that’s partly because there was a huge absence of guidance and coordination anywhere. "Indeed the best thing that happened in the first few days was the local voluntary organisations met together on the Saturday afternoon, very briefly and set up a WhatsApp group which is still going, and that was the way in which we learnt what was going on and that was the way in which we managed to communicate efforts. “People self-organised. On particular days, somebody was working in the basement, somebody was organising ladies clothes, somebody was sorting out shoes and occasionally they would come to me and say, ‘Rev can we use these particular rooms, we want to use it for that or we’re going to move things from a particular room’, so we established that the particular floors would be used for different purposes." "This is a national disaster that demands a national response and I'm afraid 10 weeks on there are many, many families not receiving the service they deserve." 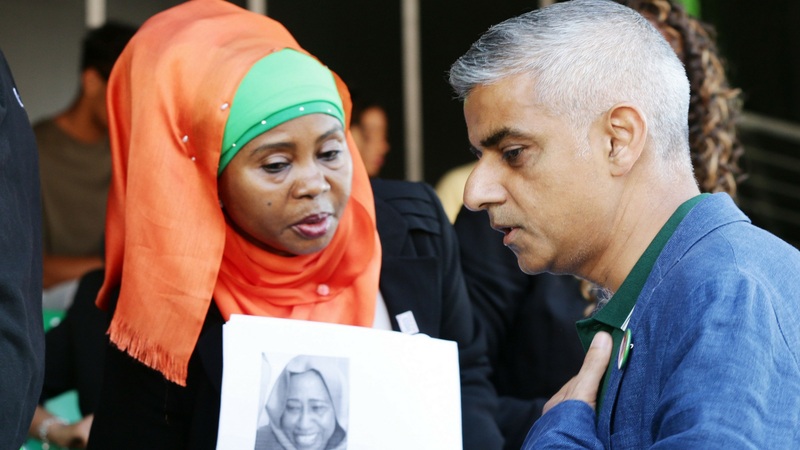 Mayor of London Sadiq Khan speaks out on what needs to change. "As the mayor, you normally get rung up in the middle of the night. I was rung up by my office and when they first explained when they thought what was happening we weren't sure of the facts. I spoke to the fire commissioner Dany Cotton through the course of the night. "I remember the phrase she used. As someone who has been a firefighter for more than 30 years, she's never seen anything like it before in her long service. The next day I went to City Hall and we made a start with dealing with what we were going to do in relation to helping the families affected by the fire. When I got to the fire, it was very much in its rescue stage. There are various stages. First, it moves onto rescue then to recovery but the fire was still going." "I'm somebody who was raised on a council estate. I've got many friends and family raised on tower blocks so when these sorts of things happen you do take it personally. But also, clearly, as an elected representative there's an added dimension. It was clear from the outset that many residents weren't happy at all with the response from the council." 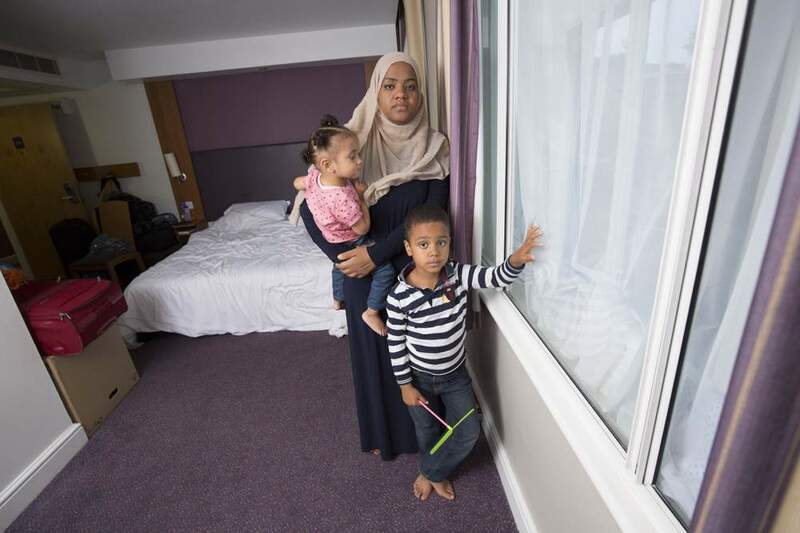 "There are other tower blocks across London worried about their safety and other families currently facing a risk. We've got to learn the lessons, I'm quite clear in my mind there needs to be a public inquiry and I'm glad that it is but I'm worried about the scope of the inquiry. "I'm worried that they're not looking into the issue of social housing. I've written to the prime minister saying there should be a commissioner for social housing, someone who can raise the standards and make sure the concerns and views of residents are taken on board." 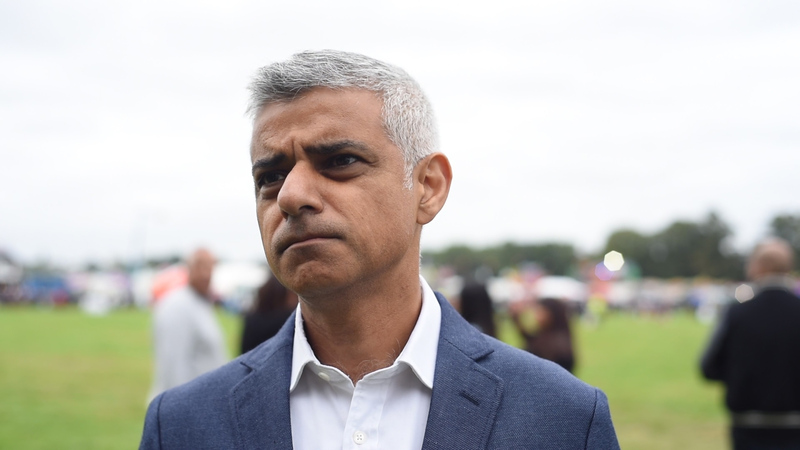 The Mayor of London has a strong message for the future for London's future. "We've got to make sure that we uncover the truth about what happened and we make sure that those responsible are brought to book and justice happens. But we need to make sure that never, never again, a fire in a tower block leads to these circumstances. "It's clear to me that 100 days on, there are many, many families being let down by the local council which is why it's important to recognise that this is a national disaster that demands a national response and I'm afraid 10 weeks on there are many, many families not receiving the service they deserve. "What's clear to me is that our emergency services work incredibly hard, and what doesn't help their job is the massive cuts made by central government. "I've said to the commissioner (Dany Cotton) I'll make sure she gets all the equipment she needs but the central government isn't helping and it's bad for the fire service." "I'm worried about if we can keep London as safe as we possibly can, not just from crime but from a future fire." 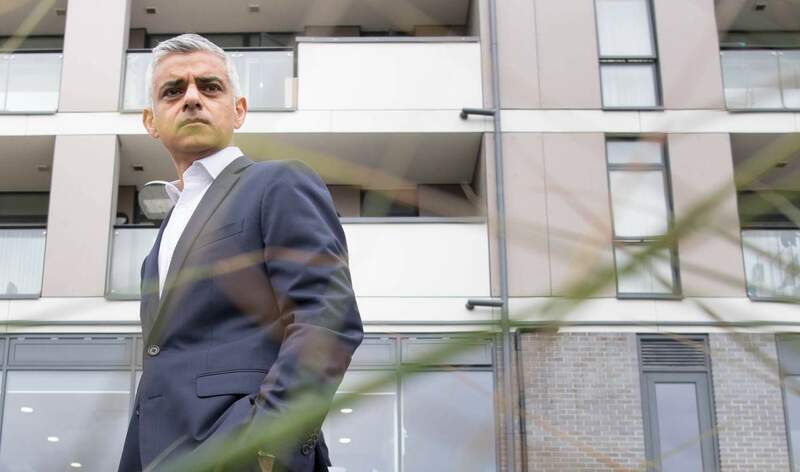 "I'm doing what I can as the mayor but I can only do so much because we rely on funding from central government so I'd plead with your readers to help me, help the fire commissioner and the met commissioner do their jobs better by lobbying the government to give us the resources we need to keep London safe." "People have had truly terrible times, they have lost their neighbours, their brothers, their sisters, their children and they hold us responsible. So it will take time to rebuild that trust. I absolutely accept that responsibility." 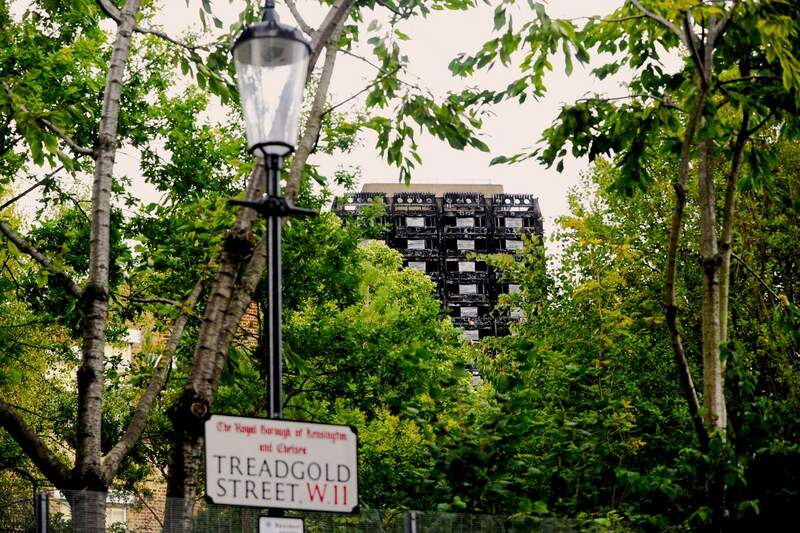 "There's a combination of totally being overwhelmed (by Grenfell Tower) and completely distressed. But when you combine that when you've heard the stories, it's worse now. "Because when you see something for the first time, your first reaction is heartbreak but when you hear story, after story, after story, about what happened to people, that's what makes it worse. "I think it's been quite emotionally demanding. As a mother, daughter, sister myself, that when you hear what people have been through. My first reaction is how do we help? 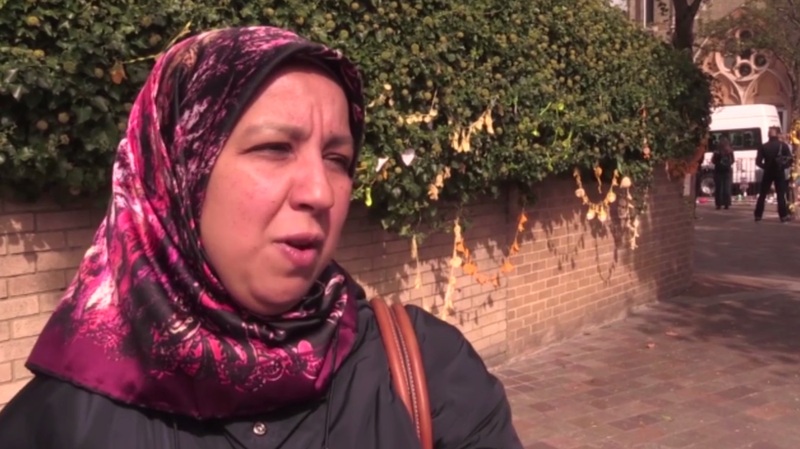 We're all Londoners, we all look out for our neighbours." "So, to keep the emotion fresh, means you do a better job because you just try and do absolutely everything you possibly can to help people which is why I've put all our reserves at the disposal of the Grenfell survivors so we can rehouse, rehome them and we can give them all the emotional and mental support they need to rebuild their lives and start again." "We need for the rest of our residents (of the borough) to concentrate on the day-to-day but my overwhelming priority at the moment is to get people housed and to get on with their lives. "You say, what's the emotional impact on me? There has been one but it's nothing like the people I have been talking to. And it would seem a bit selfish to say 'oh gosh I can't sleep because I'm hearing people's stories'. Well, what about the people who are telling these stories? "They can't sleep. I'm meeting people who are, night after night, after night, after night are reliving the nightmare of that night, so let's put it into perspective." If rehousing is the priority, then what progress is being made? "All the people who've been bereaved have all had the chance to look at flats and see which ones they want. Quite a few of them have made their preferences clear and they'll be signing and moving in. "So now we're dealing with everyone else on the fire on a strict preference basis, and they've all said which flats they might like and the viewings are beginning. "So over the next month I hope that quite a lot of them have decided which flats they want and we can start moving people in. "Central government has been incredibly supportive to us. We've got a taskforce, helping us and advising and ensuring we're doing the right thing but as this is our neighbourhood and our neighbours, we want to start off by committing our resources then we'll be asking government to contribute." 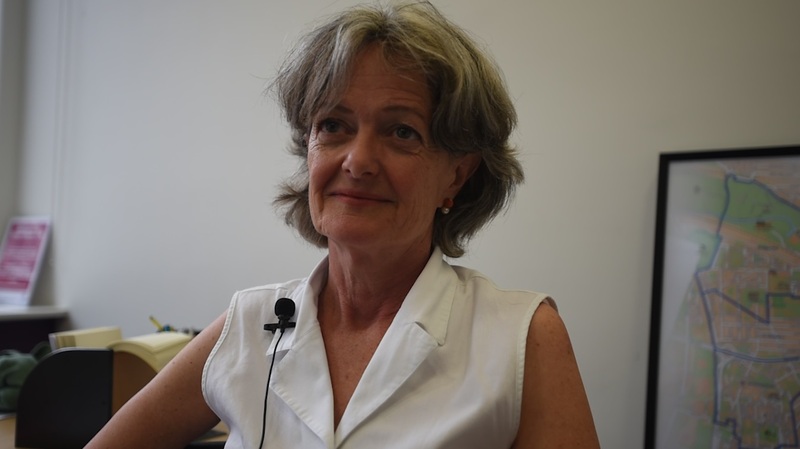 The new leader of Kensington and Chelsea Borugh Council explains how it is her responsibility to regain the public's trust. "I think the hardest thing is the lack of trust of where people are, how they perceive us to be and trying to overcome that. As I said before, if we're about anything, it's about looking out for and helping our neighbours and rebuilding that trust but it will take time and I totally accept that and I understand that. "People have had truly terrible times, they have lost their neighbours, their brothers, their sisters their children and they hold us responsible. So it will take time to rebuild that trust. I absolutely accept that responsibility." "Talking to survivors in hotels, one gentleman said to me, 'look, I've got nothing against you personally, but I have a big problem about what you represent'." "I said I understand that and now we have got to prove by our actions, not our words, how we can move forward." People are frustrated and become angry when you say you cannot answer their questions at this time. Why is that? "I hear a lot at public meetings. People will ask me things, journalists will ask me things but I simply can't prejudice the outcome of the injury by being other than totally careful in what I say. 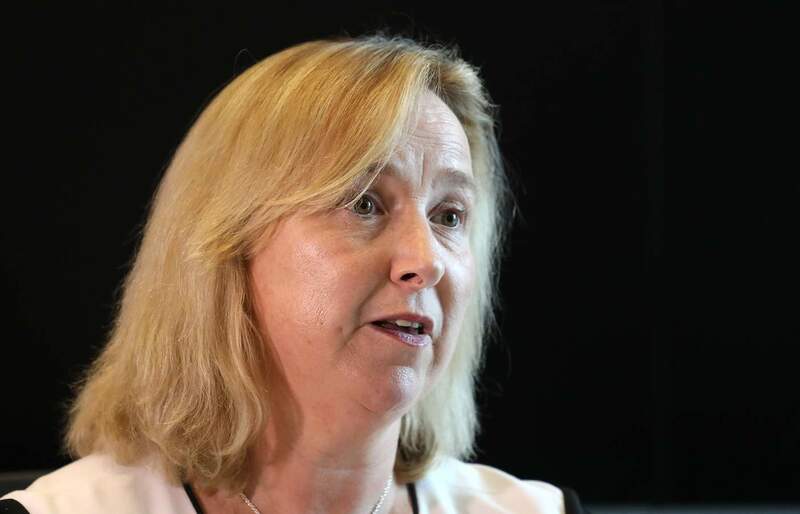 "Because I think my job, as council leader, is to be open, transparent, make sure all the documents and evidence that the judge needs is there and is in bundles and easy for them to look through. "I can't comment on the inquiry but what I can do is make sure all documents and everything they need is available and accessible to them." "The next 100 days, I hope we're getting more people out of hotels, more people with keys to their front doors so they can begin to live their lives again." "For the rest of the borough, it's about looking at how we did things in the past and how we need to change, how we need to really work with our community when we design things in the future and how we make the estate around Grenfell Tower the best in Europe. 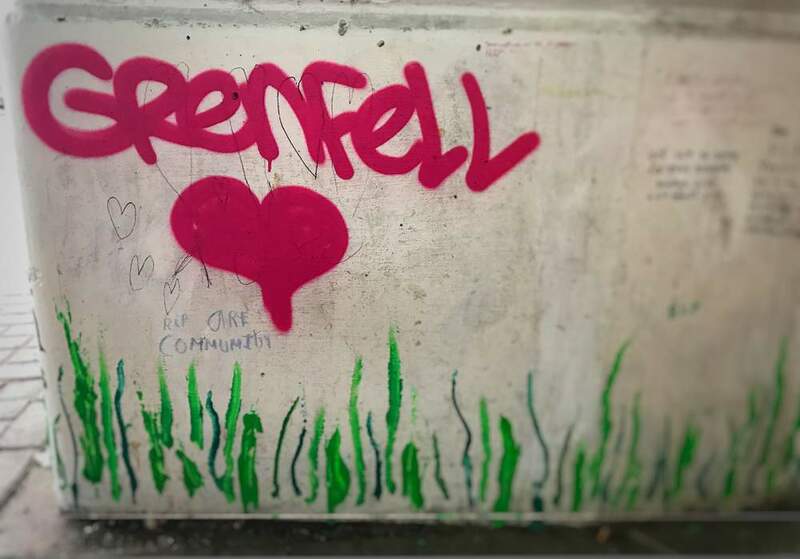 "How we remodernise it, work with residents and make it a fitting memorial for the people of Grenfell. "The police will continue their investigations and once they've finished, the tower will come down. What happens when it has come down, it will be something we will be going out to the community and asking what they want. "At the moment there are vague suggestions of a memorial garden or something on those lines but I don't think it's for me to say, it's for them to say and I really believe that they've got to come and say what they feel will be a fitting tribute to those they've lost." According to police, around 200 officers from across the Metropolitan Police are working full-time on the Grenfell Tower investigation. Police expect the search and recovery operation to be complete by around the the end of the year, with the number of search teams recently being doubled following structural work inside the tower. So far, a fingertip search has been conducted in around half of the flats and around 15.5 tonnes of material is being searched through on every floor. 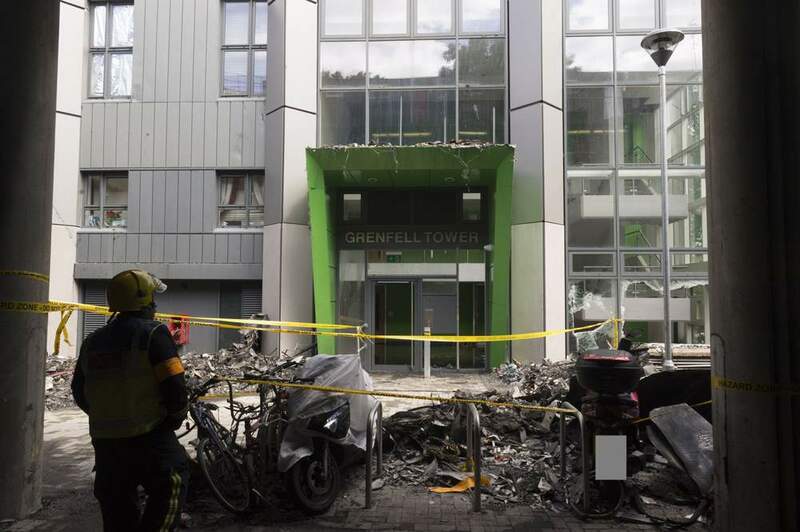 As part of the investigation, police are focusing on the construction, refurbishment and management of the tower as well as the response from the emergency services. They have detailed the types of offences that may be discovered are fraud, misconduct, breaches of fire safety regulations, health and safety breaches or manslaughter on a corporate and/or an individual level. 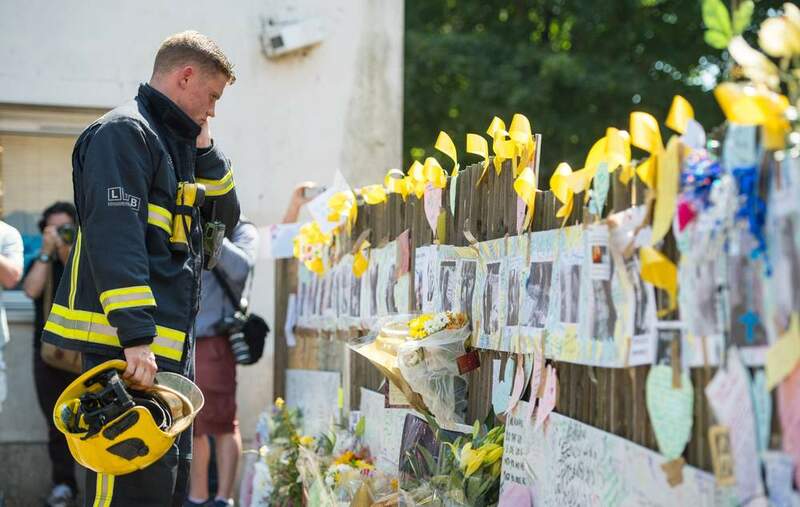 Detective chief superintendant, Fiona McCormack, said: "The investigation into what happened at Grenfell Tower is a priority for the Met and we are determined to find the answers that so many desperately seek. The distress and suffering caused to so many families and loved ones that night is harrowing. That night people lost their homes, all their possessions and tragically their families and loved ones. "Outside of counter-terrorism investigations, this is the biggest investigation the MPS is undertaking and the scale is huge. "We hope by the end of the year our search teams will have finished their work inside the tower and the formal identifications will be complete." "We are committed to finding, recovering and identifying everyone who died as quickly as we can." "We do now think the final figure of those who died may not be as high as 80 but we don’t know exactly at this stage. 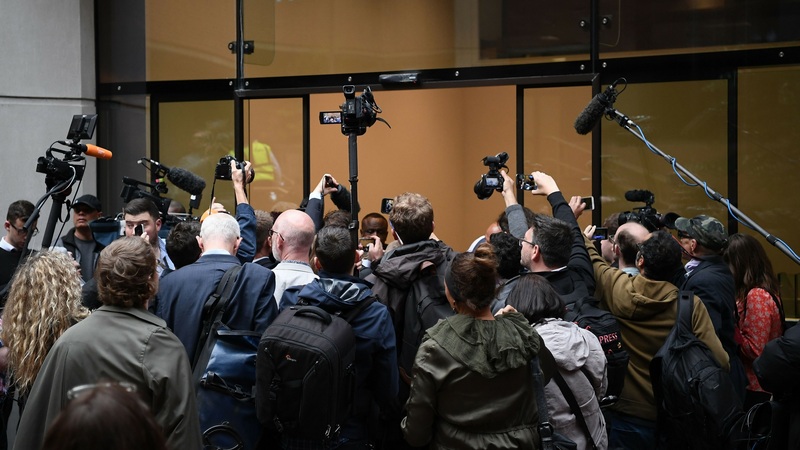 We have analysed the thousands of calls received after the fire to confirm and eliminate missing people as well as looking at CCTV from the foyer who shows us clearly some 240 people who escaped the fire. Some of those missing person reports were mistaken and a small number were fraudulent. The process is ongoing but we now have a better idea of figures. 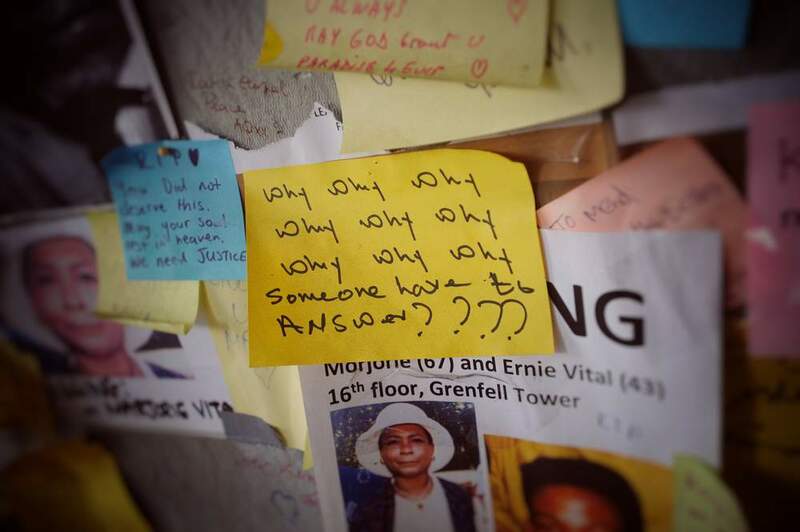 However, we still don't know if there was someone inside Grenfell Tower who died who was not reported missing, and we won't know until the searches are complete." More than 1,000 statements have been taken and the police have identified 2,400 different people to speak to including residents and police officers. 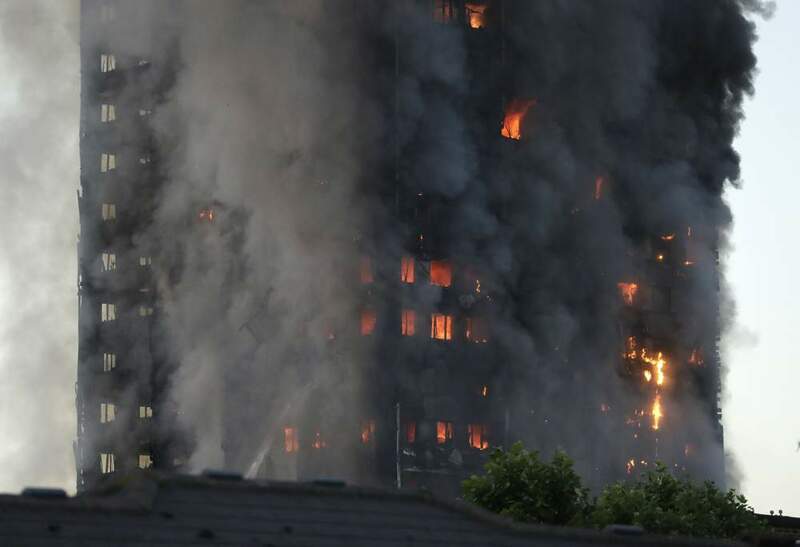 Statements will also be taken from the 670 firefighters involved in the rescue, the 340 police officers and a similar number of ambulance staff. Footage has already been viewed from 340 body worn video cameras. 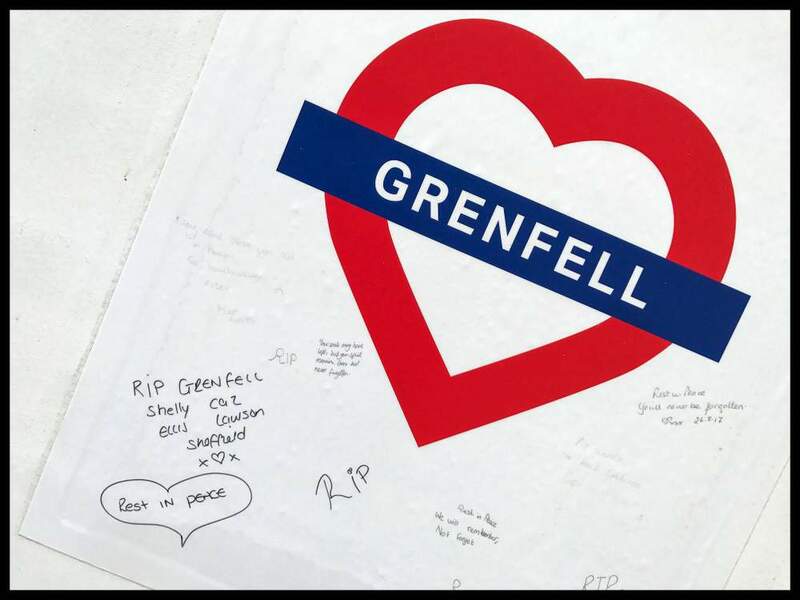 A total of 336 different organisations have been identified as being involved with the construction, refurbishment or management of Grenfell and all are being contacted. Police say forensic examinations will continue into the new year including photography and documenting each room on every floor. 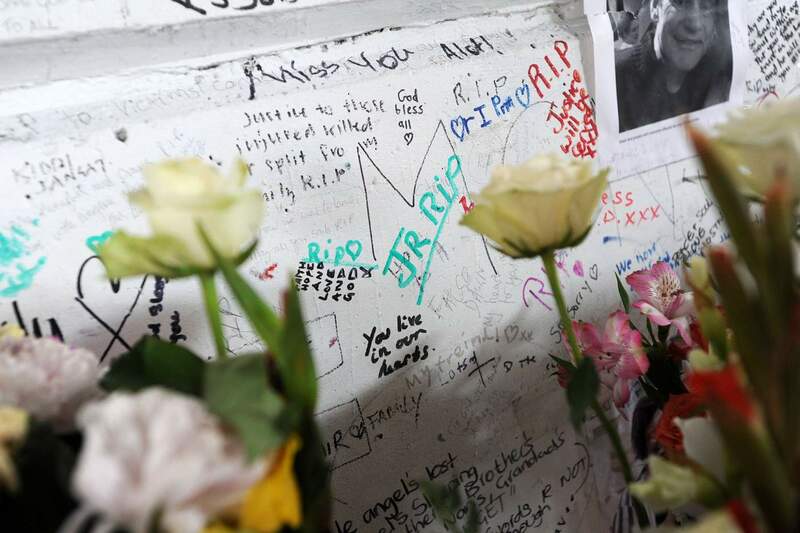 Darren Pepe captures just some of the many tributes left in the area. 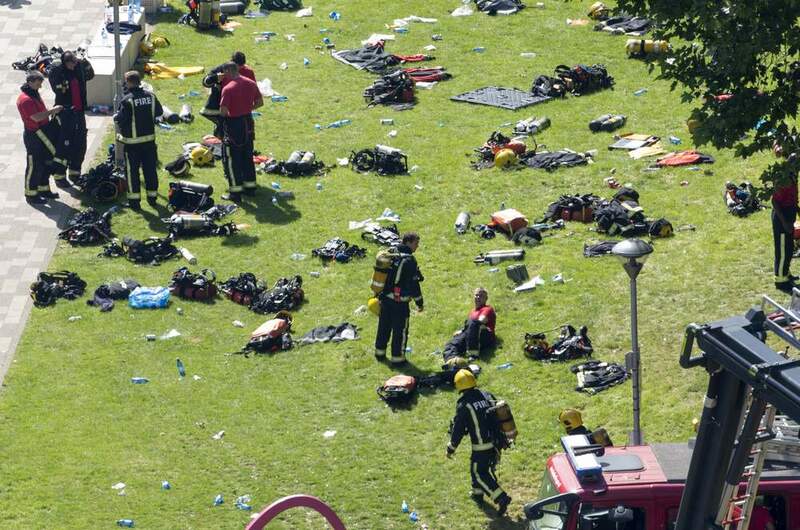 Metropolitan Police believe around 80 people have died, but they expect the figure may not be as high as 80. 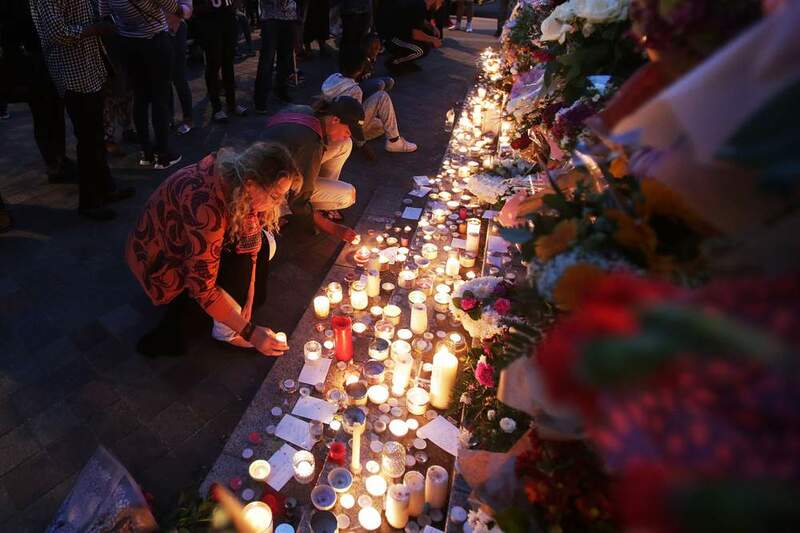 The final figure of those who died will not be known until the end of the search, recovery and identification process according to the police. The following people have been formally identified as victims of the fire. 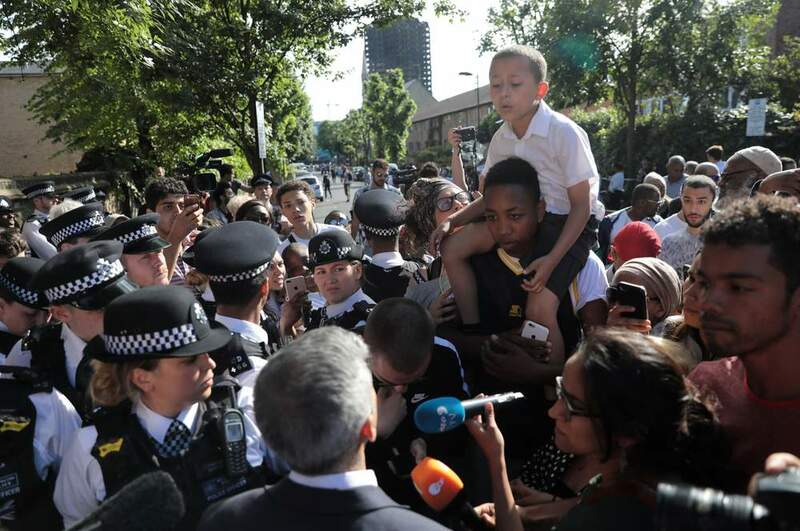 All pictures are courtesy of the Metropolitan Police. 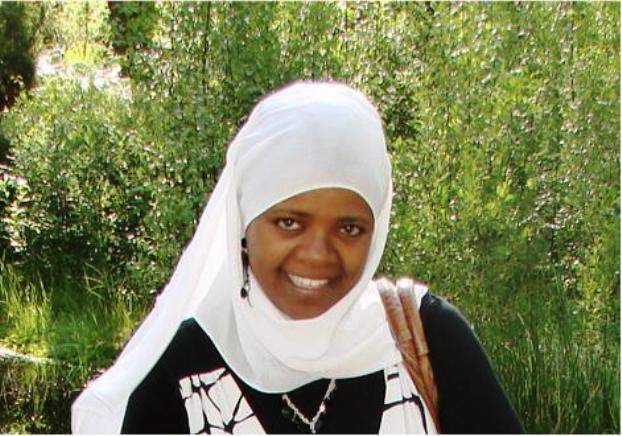 Amna Mahmud Idris, 27, was discovered on the second highest floor of the tower. 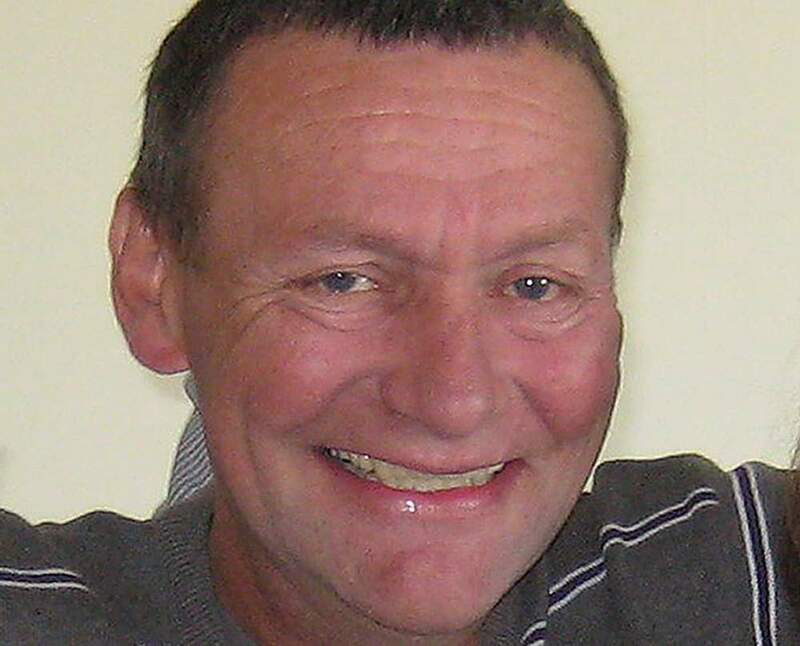 Gary Maunders, 57, died from injuries "consistent with the effects of fire", an inquest heard. 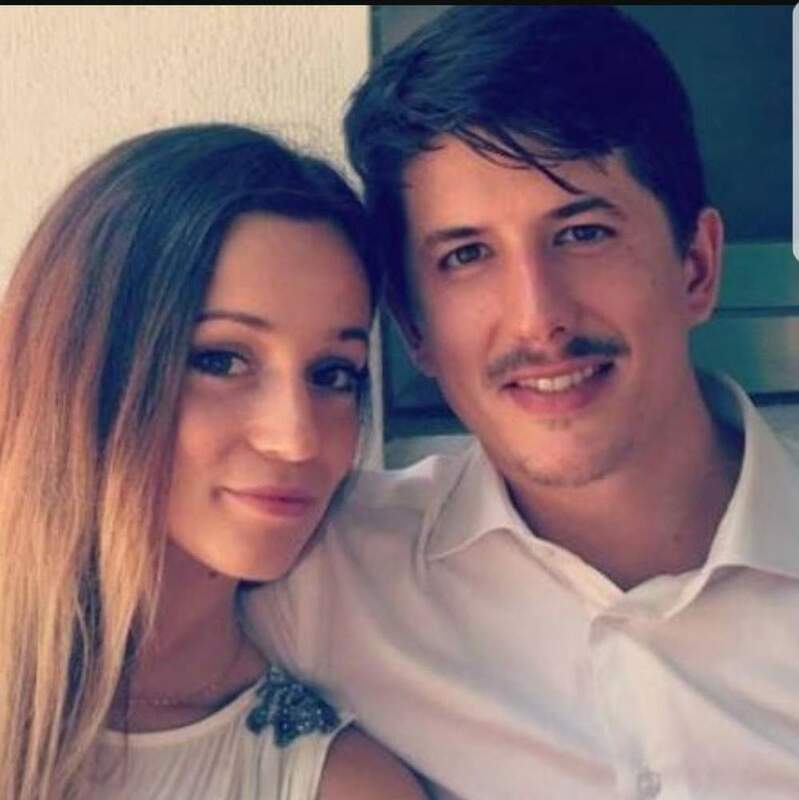 The young Italian couple Gloria Trevisan, 26, and Marco Gottardi, 27, had only recently moved into the 23rd floor of Grenfell Tower. Ms Trevisan called her mother in Italy at roughly 3.30am on Wednesday to say their building was ablaze. Fathia Ahmed, 71 - thought also to be referred to as Fathiya Alsanousi - and son Abufars Ibrahim, 39, were discovered on the 23rd floor. 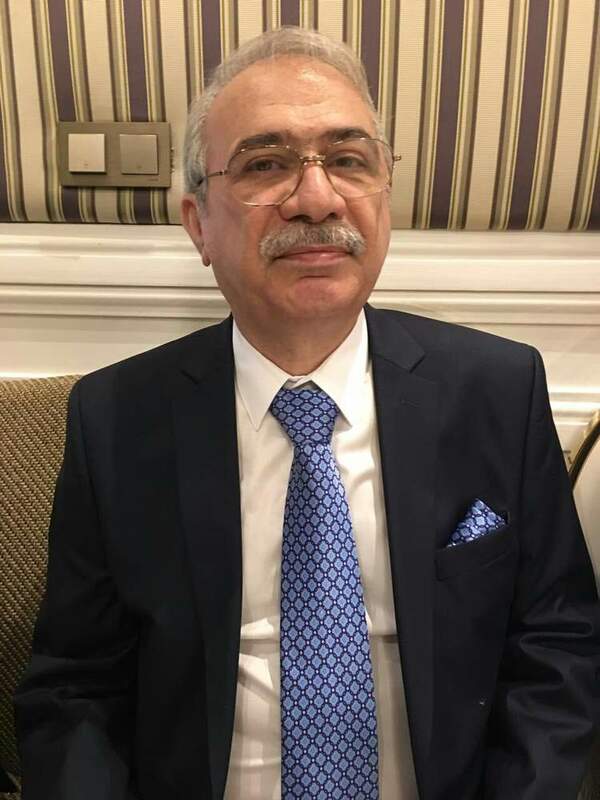 Raymond Bernard, 63, was discovered in his flat along with that of one of the youngest victims, 12-year-old Biruk Haftom. The 30-year-old was identified by her dental records after her remains were recovered from the tower's 23rd floor. The mother live-streamed footage on Facebook when she became trapped in the building with her two children, Fathia, five, and Hania, three. 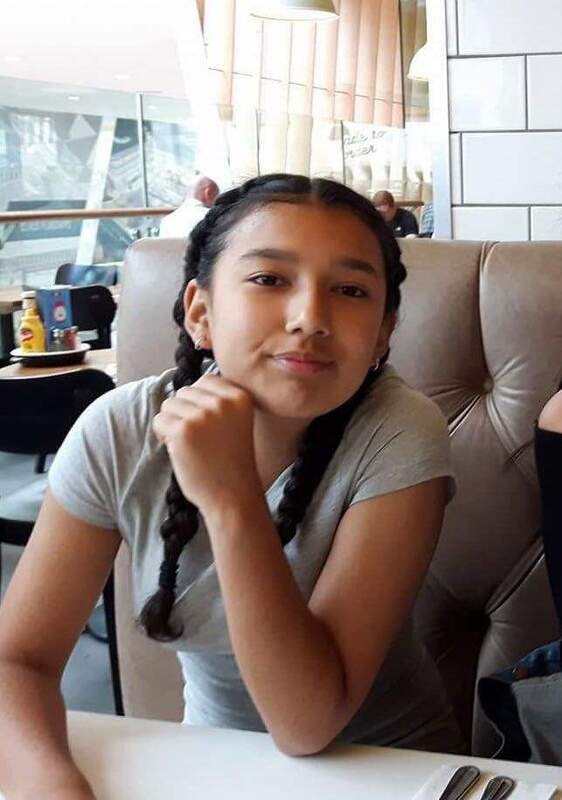 Inquests for the two girls have yet to take place. Nadia Choucair, her husband Bassem and three daughters, 13-year-old Mierna, 11-year-old Fatima and three-year-old Zeinab lived together on the 22nd floor. All but Zeinab have been confirmed dead by a coroner. 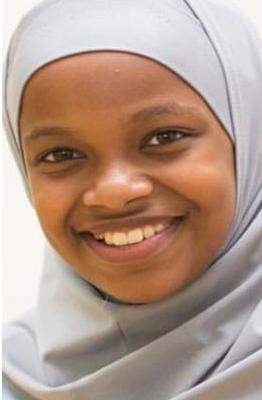 Four members of a family of five, mother, Nura Jemal, 35, father, Hashim Kedir, 44 and their daughter 12-year-old Firdaws Hashim, 13-year-old son Yahya Hashim and Yaqub Hashim, 6, have been confirmed dead. Logan Gomes was stillborn in hospital after his parents escaped the fire. Police have recorded him as a victim of the fire. 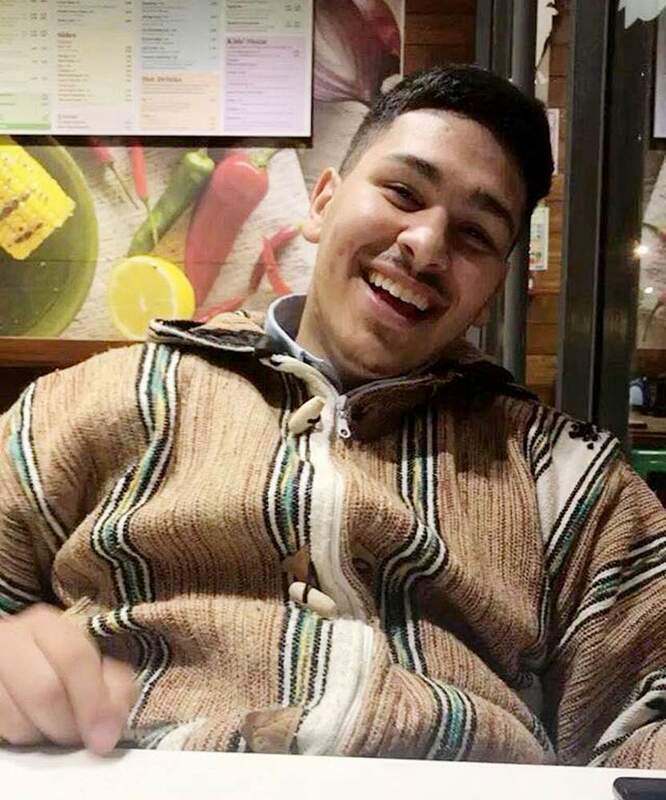 Abdulaziz El Wahabi, 52, wife Faouzia, 41, and their eldest son, 20-year-old Yasin, have been confirmed dead alongside their eight-year-old son Medhi. 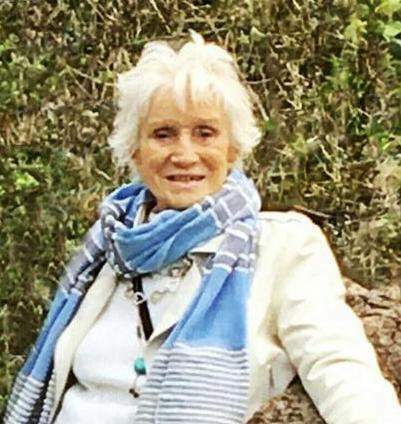 The 79-year-old is missing and presumed dead according to the Embassy of the Philippines in London. According to her family, she had lived in London for 40 years. 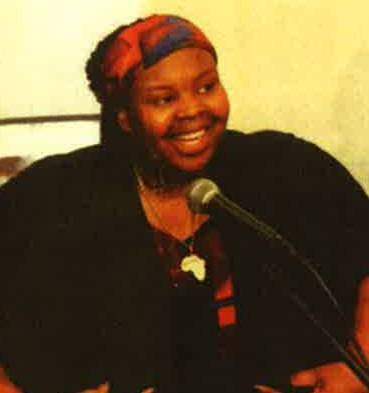 Khadija Saye, 24, also known as Ya-Haddy Sisi Saye, was found in the hallway on the ninth floor, she had died as a result of inhalation of fire fumes and burns. 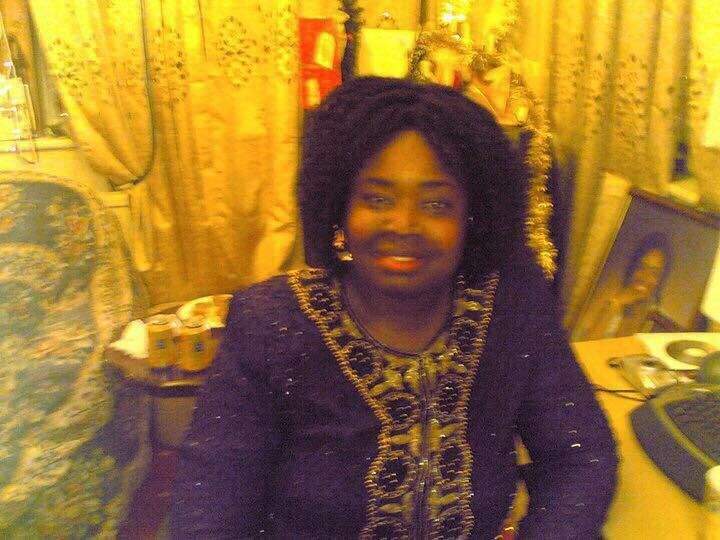 Her mother, Mary Mendy, 52, also known as Sissy Mendy, is believed to have been visiting her daughter when the fire broke out. An inquest heard she died on the 13th floor. The 12-year-old died on the 23rd floor. 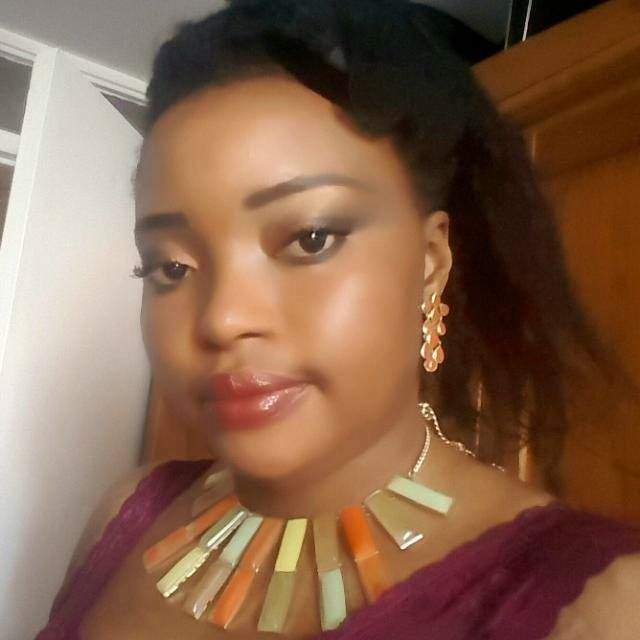 According to her aunt, she last spoke to her mum when she was on the stairs, explaining she was with other people. Hesham Rahman, 57, has been confirmed dead by a coroner. He is said to have last made contact with his family at around 3am. 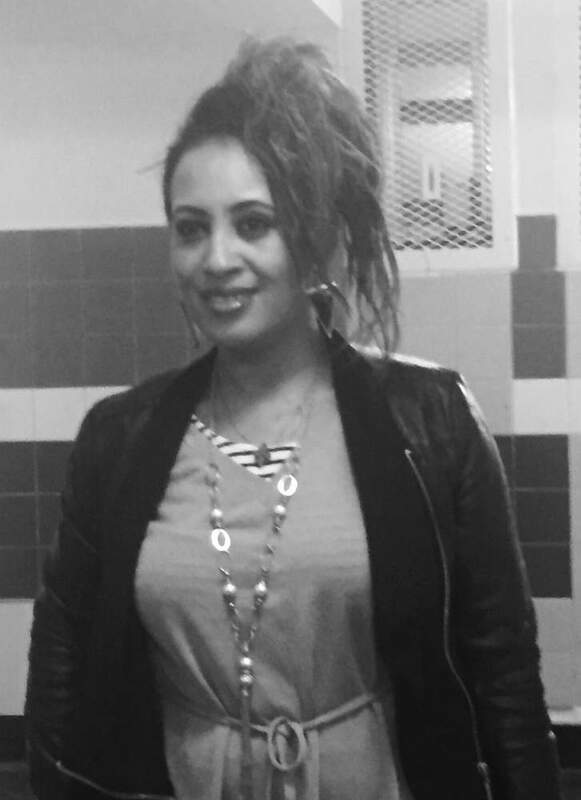 Four members of the family of five died including mother, Farah Hamdan, 31, husband, Omar Belkadi, 32 and daughters, Malek, 7 and 6-month-old Leena who was found in her mother's arms. 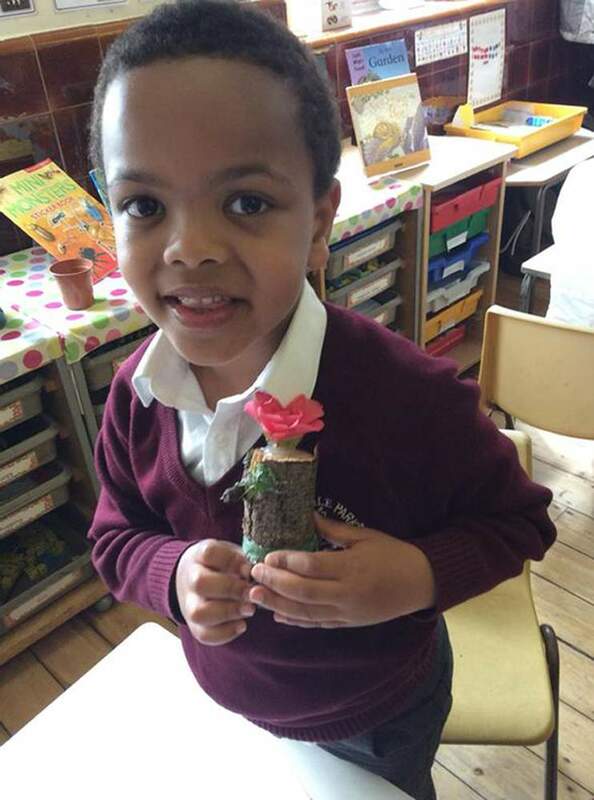 Malek was found on the 20th floor and was taken to St Mary's Hospital alongside her sister Tazmin, 6. Malek later died in hospital and Tazmin is believed to have survived. 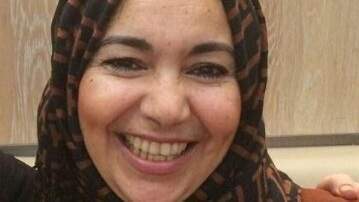 Eslah Elgwahry, 64, was found on the 23rd floor of the tower block and had to be identified by her dental records, an inquest was told. 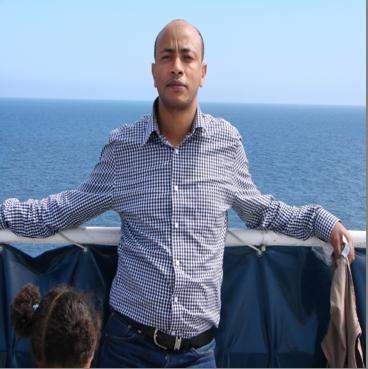 The body of 44-year-old Mohamednur Tuccu was recovered from close to the nearby leisure centre. He was found to have suffered multiple injuries. Berkti Haftom, 29, and 12-year-old son Biruk, were found dead close to each other near to the top of the tower. The family of sisters, 65-year-old Sakineh and 59-year-old Fatemeh Afrasiabi, confirmed they died in the fire. 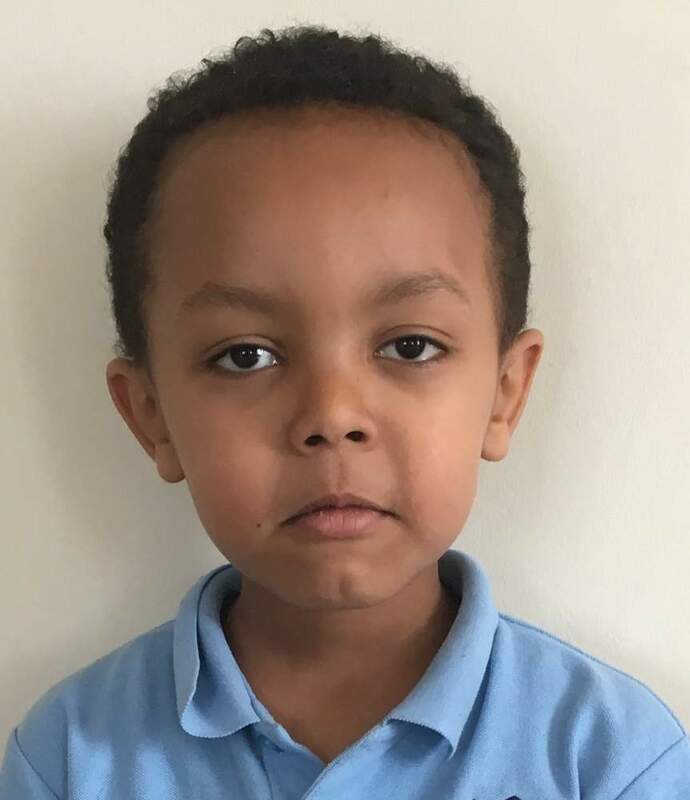 Five-year-old Isaac Paulos was last seen escaping the blaze with neighbours and family, but according to reports, got lost in the smoke. He was found on the 13th floor. 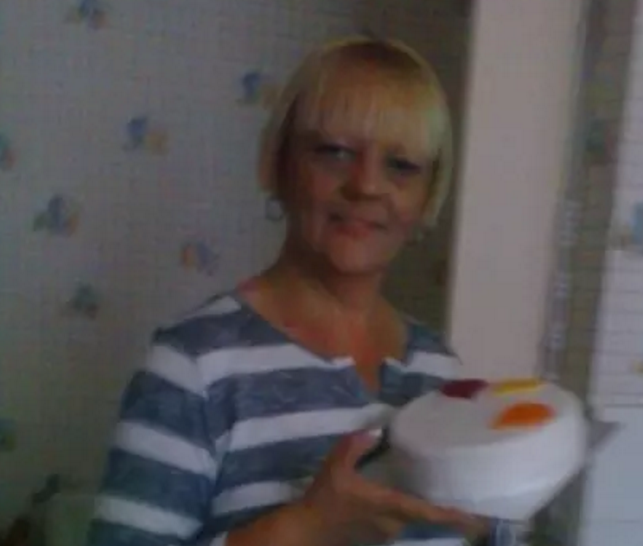 52-year-old Khadija Khalloufi died from inhalation of fumes, an inquest heard. The 60-year-old was recovered from the 17th floor and was identified at an inquest. 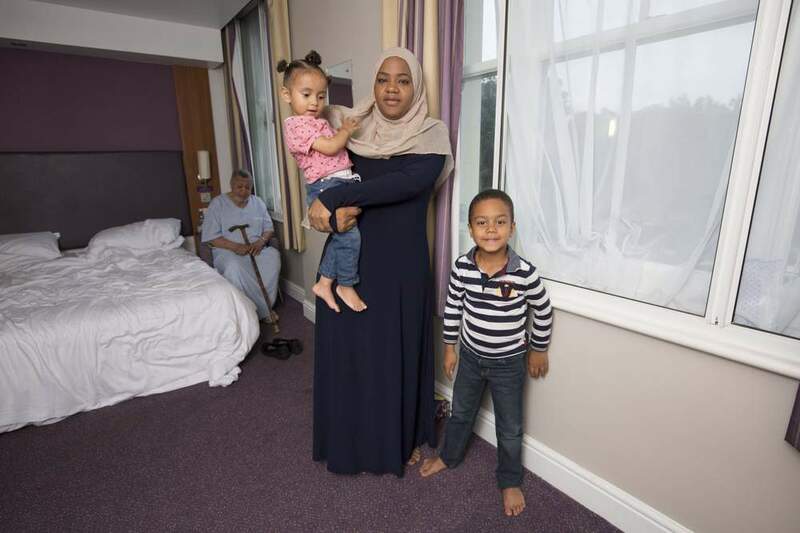 Kamru Miah, 79, Rabeya Begum, 64, Mohammed Hamid, 27, Mohammed Hanif, 26 and Husna Begum, 22, were all found on the 17th floor. The 69-year-old died from injuries consistent with the effects of fire, an inquest heard. Deborah also known as Debbie, 45, worked front of house at Opera Holland Park. Marjorie Vital, 68, and her son, 50-year-old Ernie, died on the 23rd floor. Sheila, 84, formally known as Sheila Smith died on the 16th floor. The 61-year-old's body was found on the 23rd floor. According to his family, he had no relatives in the UK. A court heard Steve Power, 63, was found on the 15th floor. 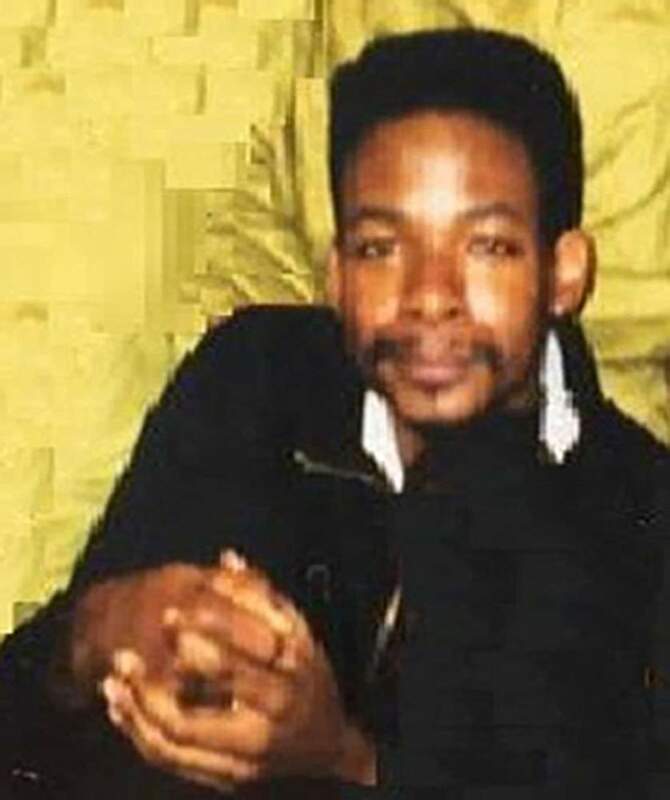 His provisional cause of death was given as "consistent with the effects of fire". 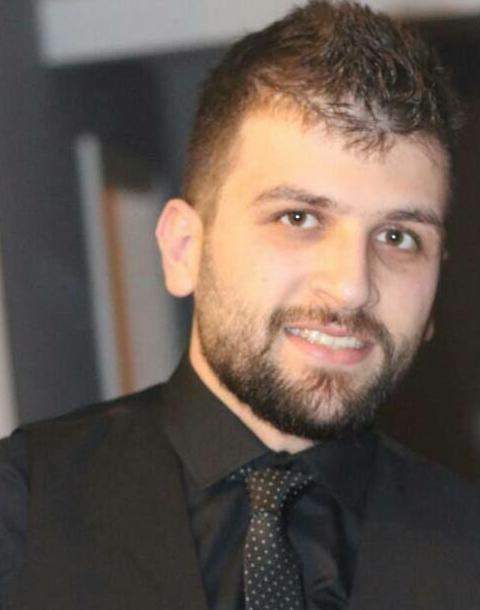 Syrian refugee Mohammad Alhajali, 23, was the first victim to be formally identified. He was found outside the tower block having fallen from the building. It is believed 56-year-old Denis Murphy became trapped on the 14th floor. 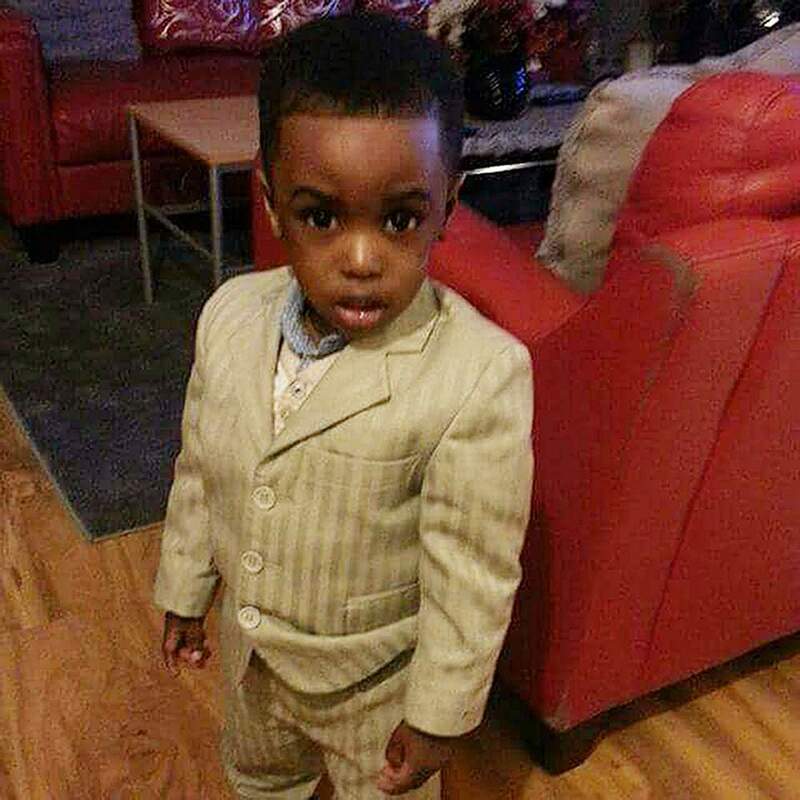 Zainab Deen, 32 and her son, Jeremiah, 2, were found lying side by side in their flat. 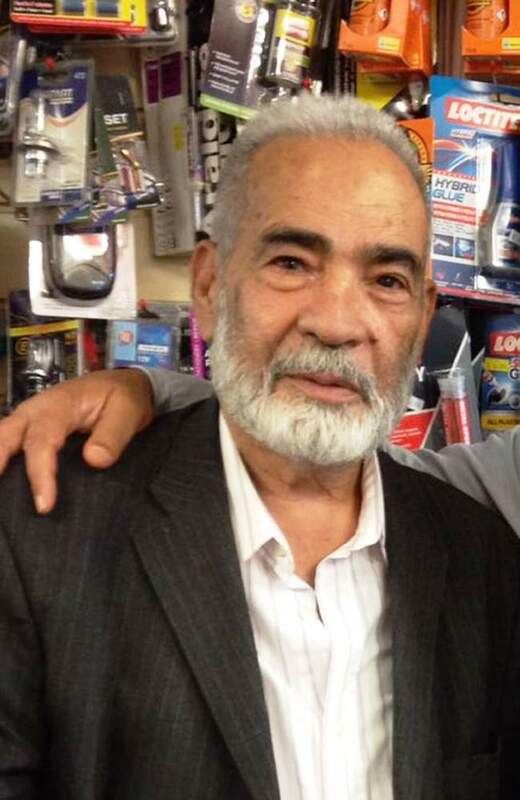 An inquest heard Abdeslam Sebbar, 77, died from an inhalation of fire fumes. Ali Yawar Jafari, 82, was brought out of the tower by firefighters but was pronounced dead at the scene due to inhalation of fire fumes. 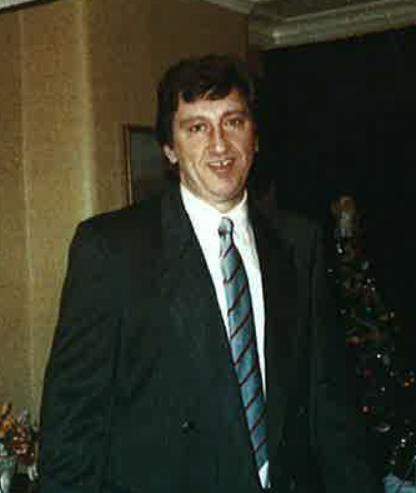 Anthony Disson, 65, also known as Tony is thought to have lost contact with his family at around 3am. An inquest heard he died of fire fumes. 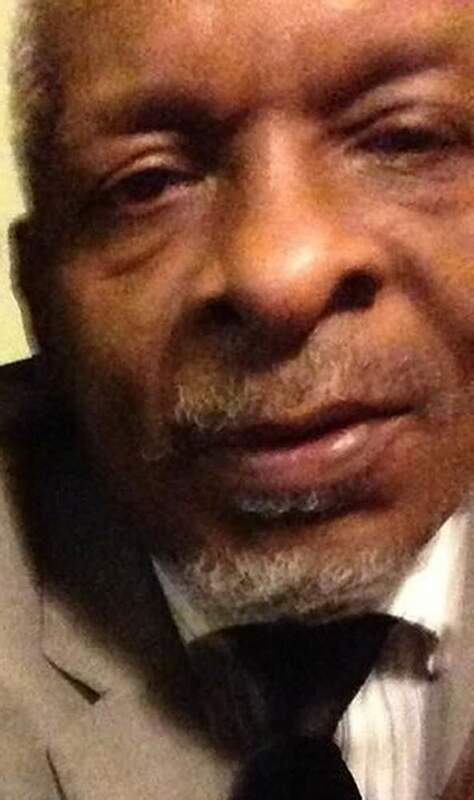 He leaves behind four sons, five grandchildren and three great-grandchildren with a sixth grandchild due in September.